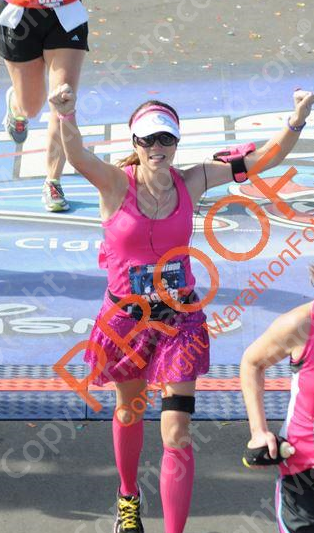 The day was here--the day of my first marathon. And I was petrified!! I had been nervous for weeks but ever since I got my injury, it just got worse and worse. 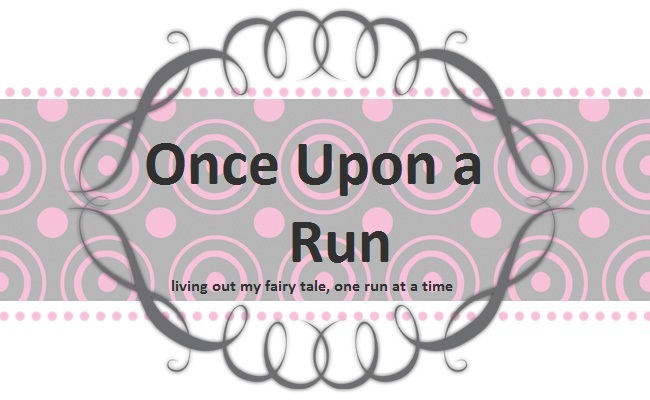 I didn't run for 2 and a half weeks before and so I wasn't sure how bad it was going to be. I had no idea if I would even make a mile. I decided beforehand that if it was too bad, I would walk to the Magic Kingdom and take the monorail back to Epcot from there. There was no way I was getting on a bus. So we woke up at super early. I'm pretty sure my alarm was set for 2:30am and we were out the door at 3am. Cori, Michelle, and I were riding together. We met up with Kristin (A Mom on the Run) and Justin (Always Running Forward) at the race start and hung out for a little bit. Kory and my parents wanted to see the start of the race. I had told them to make sure that they left in plenty of time because I was used to the half marathon where it is a lot more crowded. So they took my advice..and ended up getting there around 4:00. Oops! A lot of people were saying that it was going to be too hot, but Cori and I were cold. And thankful we had brought our blankets! Yes, these Florida girls are wimps! Justin took off first since he's fast and in a higher corral. But soon it was time for us to walk over. The walk to the starting line is sooo long. (okay, not THAT long but long enough right before the start of a marathon!) For some reason, I was in a higher corral than Kristin even though she's a lot faster than me, and ended up being in the same corral as Michelle. So we split up and Michelle and I headed into corral H. We stretched some and talked a lot. I was so so nervous. Which made the time seem to fly and the first corral was quickly off. I really like the new corral system. It seems that as soon as one corral goes, the next one walks up and then it's their turn! My Garmin said that we started at 5:57! I said goodbye to Michelle and she took off. I was tentative at first. I wasn't sure how I was going to feel. 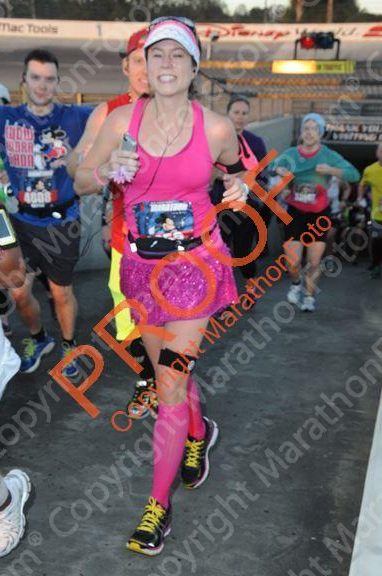 Before I knew it, I was more than a half mile in and I felt GOOD!!! 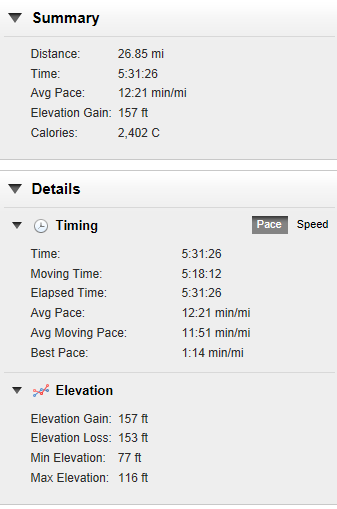 And then I was at the first mile marker! I took off again and ran to 1.5 miles. I remember how everyone was telling me to go slower than you'd think at the beginning and I knew I was going pretty fast for me for long runs, especially being injured and not having ran for a while. So I started my intervals. But I honestly think I could have kept going for a while (and probably died at the end.) I was quickly at 2 miles. At this point I started texting my parents and Kory telling them I was feeling good and going at a better pace than I thought I would be. They told me they were at the Ticket & Transportation Center. Next up was the Magic Kingdom tollbooth! Lovely hand in the shot--I'm a bad selfie taker! We ran through the parking lot and hit miles three and four. I accidently paused my Runkeeper. And when I do that, for some reason, it screws it up. I have it set to tell me my time and distance every minute so I know when to run and when to walk. When it pauses, it screws that up so it'll only tell me every four minutes or so. So I had to keep looking at my phone to see my times. Kept me busy though! I never did see my family. The said they saw me right before the TTC. Oops! We headed down the road by the Contemporary and up the dreaded hill. I walked it and saw the DJ with the big Mickey hands that is always there. As we were passing the Contemporary, the castle with its pretty blue light came into view. This girl next to me reached out and grabbed me, squealed and said "It's so pretty!" She apologized for grabbing me and said that she was just excited about seeing the castle. I told her that I felt the same way. I have seen that castle thousands of times but it never, ever gets old! We did a little mini U-turn and headed into backstage of the Magic Kingdom. And we ran down Main Street. It was packed!! There were so many fans cheering us on. SUCH an awesome feeling! I love reading all the signs--and I did a big no-no. I stopped right in my tracks and went back to take a picture of a sign. I felt so bad after. I HATE when people do that to me and I just know I pissed someone off. 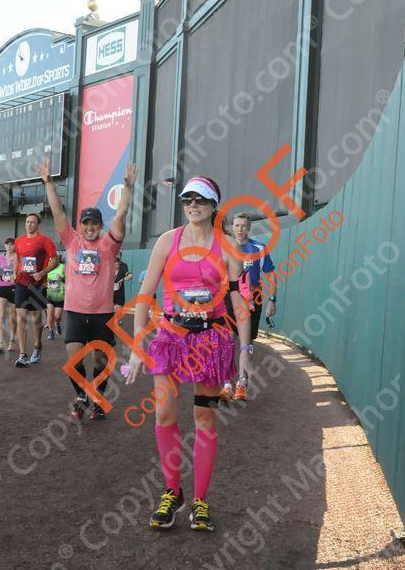 Sorry runner behind me! Anyways, the fox song had been a big topic among my friends and teachers at school so I NEEDED a picture of this one! I took off again only to stop a little bit down for a quick picture with the castle behind me. I wanted it to still be dark and I knew it wouldn't be as dark when I finally got to run through the castle for the official pic. Off to Tomorrowland and beyond! Before I knew it, I was running through the castle! Love love love that feeling! Up next was Mile 6! I saw Rapunzel and Flynn Rider. I love them but the line was too long so I snapped a pic between runners! We ran out of Magic Kingdom and down the back road. I had been texting with my family again and knew they were waiting across from the Poly picture stop. 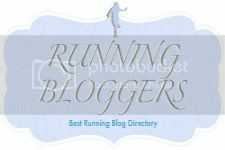 When I told them about that area, I completely forgot that they're far away from the runners. I was hoping to get a picture with them. So I settled for taking one on the run-by. My mom was holding this poster she made for me--Love it mom! Around this time, Kristin had texted me that she wasn't too far behind me so I started to look for her. Soon we headed into one of the few areas of Disney World that I had never been to: the Speedway. I had heard stories about how there was a huge hill going down then up into the track. And the hill down was pretty steep. I definitely stopped to walk it because I was afraid of falling down. Kristin caught up with me here. She was just doing straight runs, so we snapped a quick pic and she was off again. We left the track and headed down the back road to the Animal Kingdom. I have to admit. I was on my phone quite a bit during the race, using facebook and twitter. But the support and motivation was just amazing. I loved and needed that distraction. But I was feeling so good, that I kept forgetting to use my fuel (both the first and second times I realized it about 15 minutes late). I love when some of the photo ops have multiple characters. 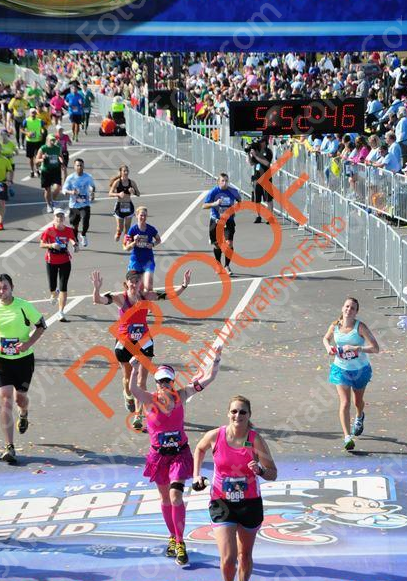 I wasn't in the mood to jump in line because I was afraid I'd lose my momentum, but I grabbed a shot between runners. I had been warned about the horrible smell that this facility gave off. Everyone said that it was terrible and lasted for a long time. I'm not sure if it was that my sense of smell was off, or I was just so in the zone, or it wasn't as bad this year, but I only smelled it for a few minutes. It really didn't bother me. And then Mile 11 was there! Some of the animal trainers were out with animals. I thought this little guy was too cute! (although I wasn't about to pet him like I saw some do. I would've wanted to wash my hands right away!) He had a bib on and I liked the saying although for the life of me I can't remember what it said and I can't read it. 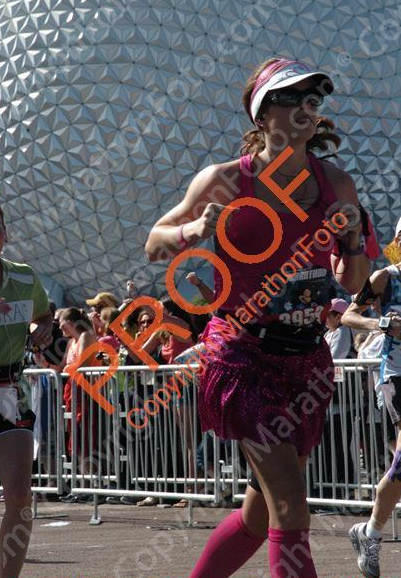 Mile 12 was almost at Animal Kingdom! I made a quick stop at the bathrooms right by Everest. I normally don't need to use the bathroom, and didn't then, but I figured since it was a real bathroom, I should take advantage of it. When I came out, I asked a cast member to take my picture in front of Everest. He had me climb up on this big rock. I remember thinking "Um, I've just run a half marathon, and have another half marathon to go and you want me to climb??" but I went with it for a cute shot. 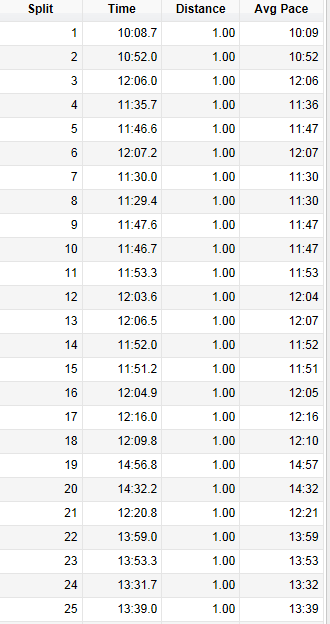 I think Mile 13 was heading out of Animal Kingdom, but I'm not positive. Around mile 16.5 you turn down the main road to WWoS and the runners ahead of you are coming back out. It was fun to see other runners and there were so many people shouting encouraging things. I started to notice that my toes were hurting a little. I was starting to get a blister on my pinky toe. 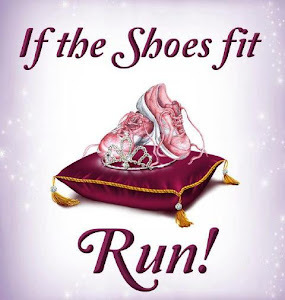 But I'd never had a blister during a run that really bothered me so I didn't think much of it and kept going. I started getting worried. My toe was hurting a lot and I wasn't sure what to do. I was limping through the stadium. This is my "I'm hurting but there's a camera so I'm gonna try to smile" smile. After the stadium, I sat down on a bench right outside and took my compression sock off. There was a small blister on top of a huge blister. I'm still not sure how that was possible. I put my compression sock back on (putting tight socks back on sweaty legs takes forever!!) and hobbled to a medical tent. All they could do was give me a bandaid. I hobbled little more looking for a place to sit and couldn't find one so I finally just plopped down on the side of the road, took the sock off again, and put the bandaid on. Then fought with sock again to put it back on! I jogged a little more and then felt a pop! The pop scared me but then it didn't hurt as much. I wasn't about to fight with the sock again so I just hoped that all was okay and went on my way. I was excited to head into the Studios because it's my home. I texted one of my friends that was working at the Great Movie Ride where I work. He had said previously that he was going to try to sneak out to see me, but he then texted me that he couldn't at that time (because of how running shows works). No biggie--his words of motivation were awesome! We headed backstage at the studios and came upon a food stop. I couldn't handle the thought of bananas but I eagerly grabbed one of the little pieces of chocolate. I let it melt on my tongue. It was so good! Right after I passed the Wreck it Ralph Wall, I got a text from my friend that he had managed to sneak out and he saw me! I felt soooo bad that I didn't see him. But it put a huge smile on my face! Thank you Mr. Cannon! I wanted a picture in front of each main icon at each park. Except I hate the stupid Hat. It's not the most important part. So when I go to the middle of the studios, I veered off course to get a picture in front of my ride. This poor lady who was volunteering probably thought I had lost my mind. She came up to me and said "Sweetie, the race is going that way" and pointed to the course. I laughed and thanked her and explained that I worked there and asked if she would take a picture. 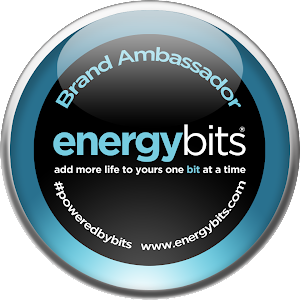 I was full of energy and knew that I only had about a 5k to go! We headed out of the Studios and toward the Boardwalk/Yacht & Beach area. This is where the crowd support was amazing. I saw people handing out twizzlers and pretzels. I definitely grabbed some pretzels to snack on. That salt hit the spot! My running mantra is "Just keep running, just keep running" said like "Just keep swimming, just keep swimming" in Finding Nemo. So when I saw this sign, I had to stop for a picture. I saw Belle right by France in Ecpot with NO LINE!! That never happens. So I had to stop--she is my favorite princess after all! I turned on my favorite running song, My Songs Know What You Did in the Dark by Fall Out Boy, put it on repeat and blasted it. I'm sure people thought I was crazy because I was definitely singing and dancing to it. Suddenly I saw the mile marker for 26. 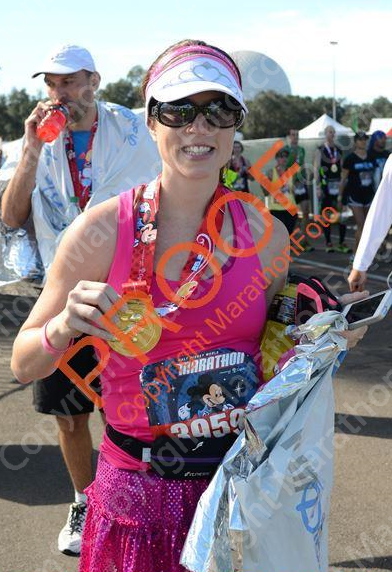 I couldn't believe I was almost done with my first marathon!! I looked across the way and saw the gospel choir that is always near the finish line. I quickly texted my parents to let them know I was almost there! Suddenly, the finish line was there!! And before I knew it, I was done!! I felt great! There were so many great volunteers offering to help with things like open drinks and stuff, but I didn't need it. I quickly found my family. Cori wasn't too far behind me--she did so great too! 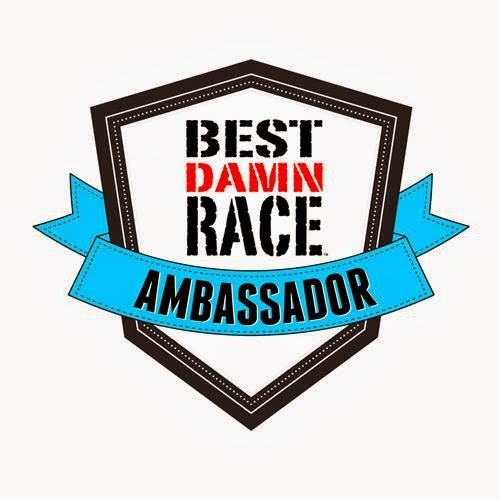 I absolutely LOVED the race! 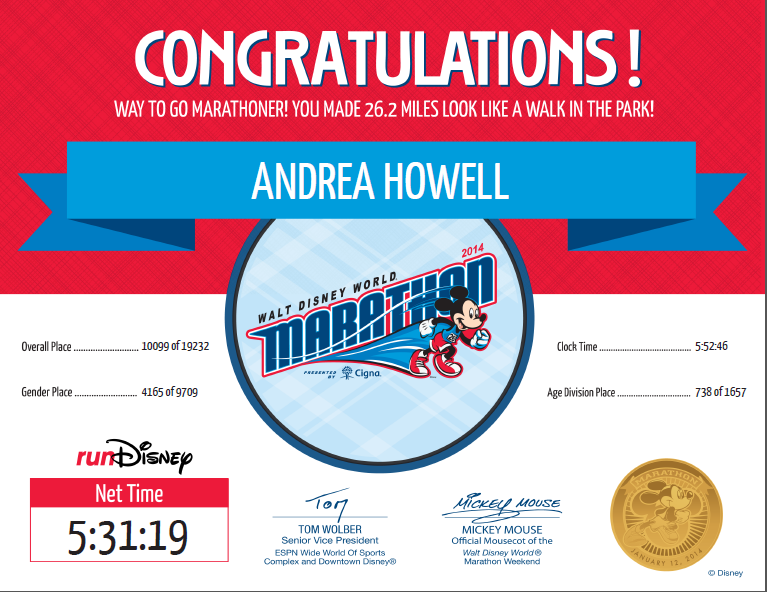 Except for the blister miles, I never hit a wall mentally (I think maybe it was because I was sooo stressed in the week leading up to the race not knowing if I would even make it to mile 1, that I was just happy and grateful to be running!). 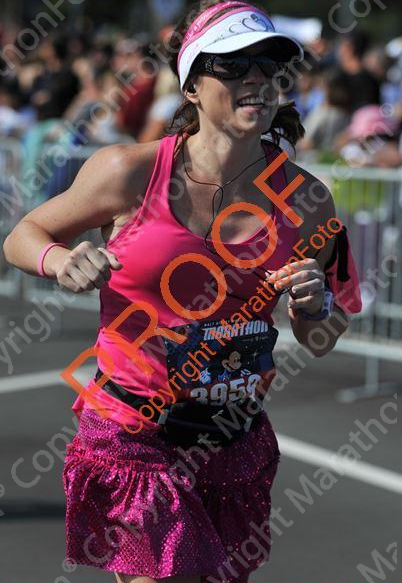 Leading up the marathon, I thought it was going to be the only one I ever ran. 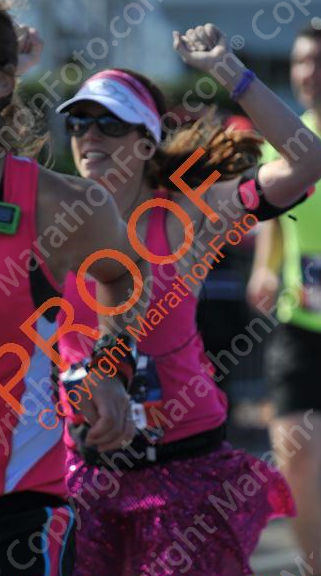 But during the race, I was having so much fun that I knew I needed to do it again. 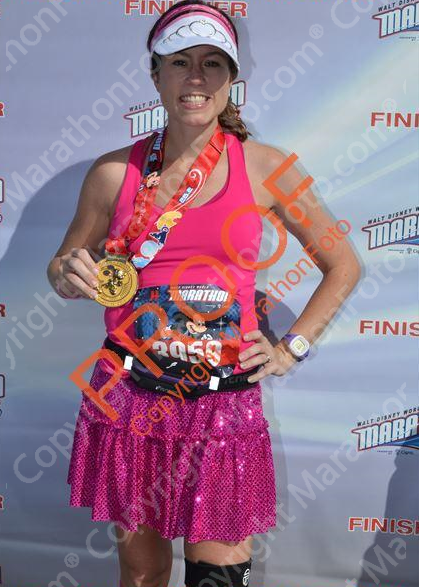 My official time was 5:31:19. Not too bad! 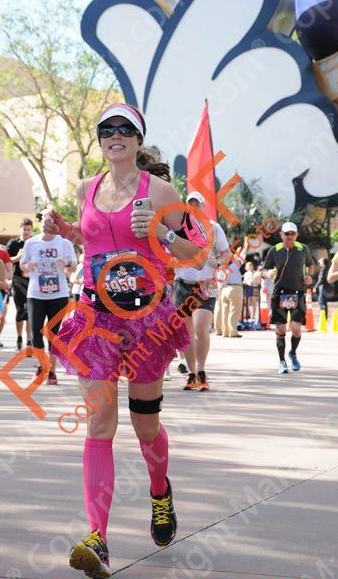 Before I got injured, I just wanted to secretly beat my hubby's time of 5:24. But once I got injured, I threw it all out the window. After it was over, I was a little annoyed. If I hadn't stopped for all the pictures (over 50 that I took), I would have beat it! But then again, I so needed those little breaks. 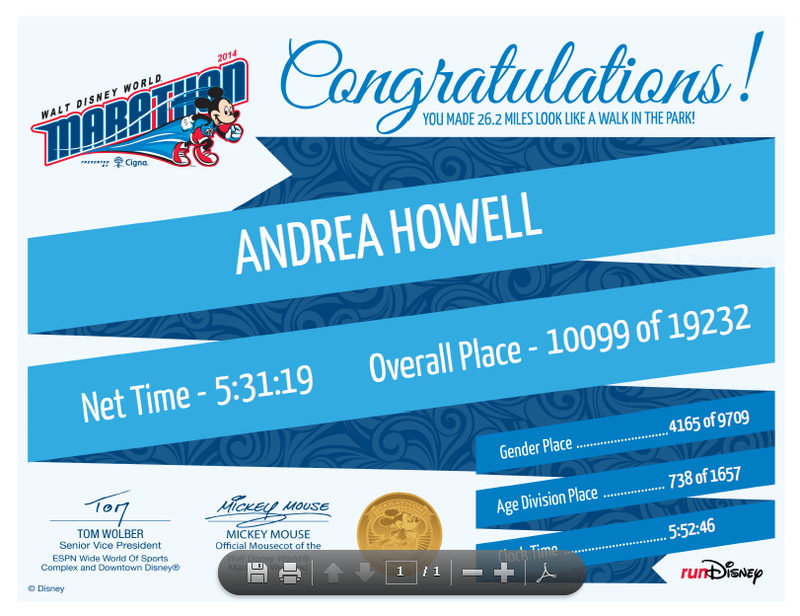 My overall place was 10,099 out of 19, 232 so not quite top half. For females, I was 4,165 out of 9,709 so top half there. And for my division (age & gender) I was 748 out of 1657 so top half again. Overall, I'm pretty happy with it. 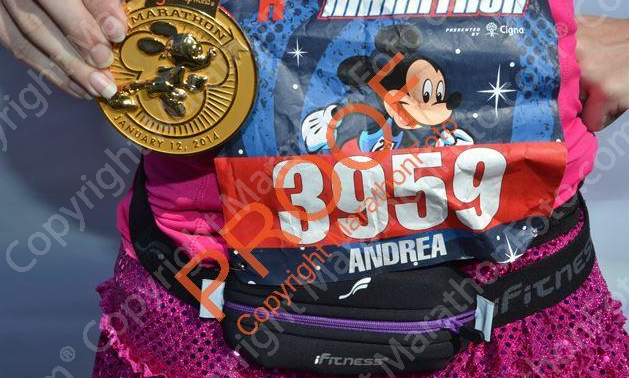 I was on a marathon high for weeks! I loved talking about it and remembering it. And I can't wait to do it again!